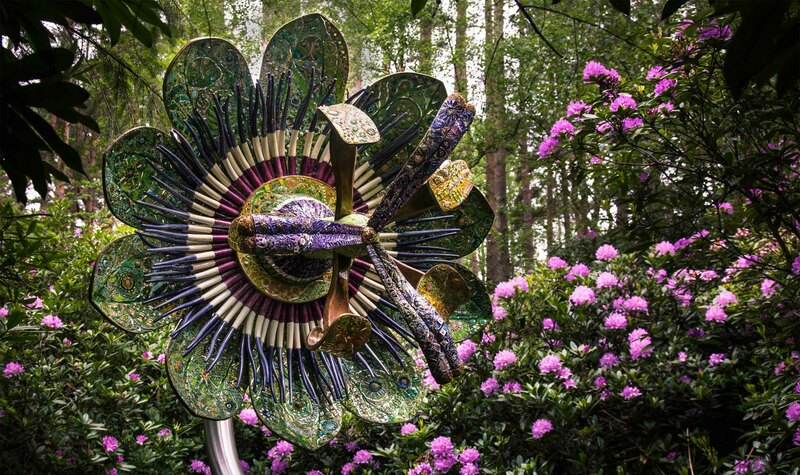 The Sculpture Park have supplied and created sculptures for working environments, public spaces and events. Utilising our team of experts and relationships with extensive artists and manufacturers, we can provide knowledgeable consultancy for acquisition and commissions of sculpture. We possess more than 20 years’ experience and have undertaken over 500 large scale commissions with our associate artists, fabricators and foundries. This has enabled us to streamline costs whilst maintaining a standard of high quality within budget and timescales. Growing an art collection can be a very enjoyable project and with the correct choices, can become part of the company’s or individuals investment portfolio. Alongside the aesthetic benefits, sculpture can strengthen a brand message while emphasising values and ethos to employees, clients and visitors. This in turn contributes towards more successful, well rounded and cultured environments. One of our consultants will visit you at work or home to assess details and goals you wish to achieve. Concept development begins with photographs and dimensions of potential sites are collected on to help produce visuals for further deliberation. Alternatively, a visit to our 10 acre sculpture garden is another starting point, with an eclectic collection of over 400 artists on display at one time. Here you will gain insight into what is immediately available and what can be achieved. Please contact us including a quick brief on your project to schedule an appointment. We can then ensure the right expert will be on site to meet you. Meet with an expert at The Sculpture Park.